A'Bear & Ball Architects | RIBA Chartered Architects-Planning Permission for listed barn conversion! 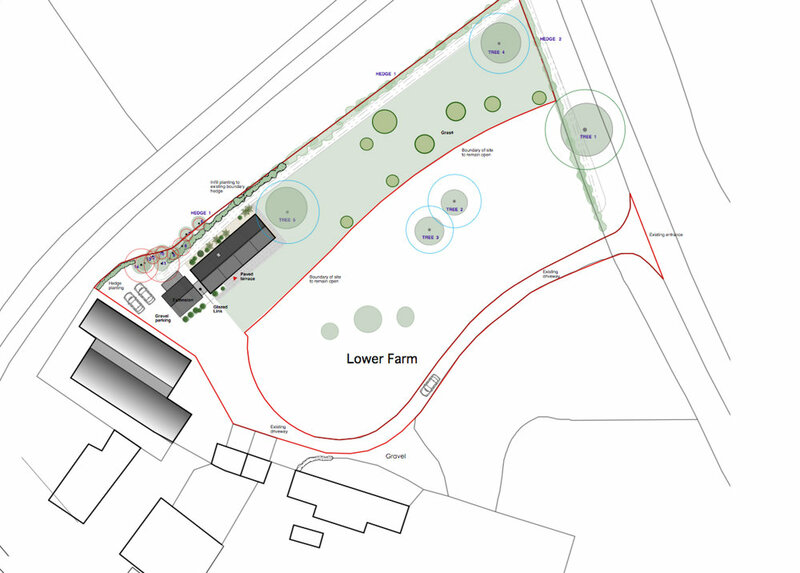 Planning Permission for listed barn conversion! A’Bear and Ball Architects LLP are pleased to have obtained Planning Permission and Listed Building Consent from Swindon Borough Council for the conversion of a detached stone barn to a single high quality contemporary 3 bedroom residential dwelling in Hannington, near Highworth. The barn is close to the Listed Farmhouse on the site and therefore demanded a very sensitive design approach. The scheme involves the conversion of the stone barn plus the addition of a sizeable extension (master bedroom suite) connected back to the end gable wall of the existing structure with a lightweight glazed link. A zinc roof is proposed along with significant areas of frameless glass set behind the existing timber posts allowing the original primary structure to be left visually exposed.